· 2017 Champion, Jeremy Gertsner. · 5-time 2017 winner Burt Myers. · 4-time 2017 winner Brandon Ward. 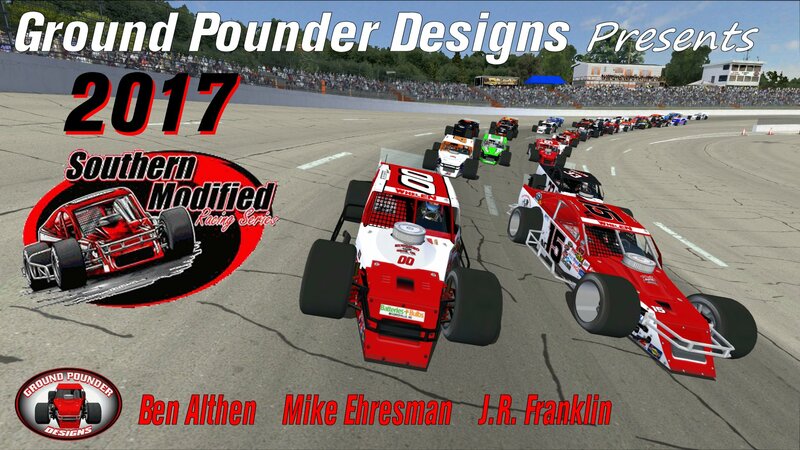 · 15 All-New paint schemes and drivers not previously released. · Authentic recreations of the real life 2017 SMRS paint schemes down to every meticulous detail. · Authentic matching pit crews and a roster file. · Updated and accurate real-life 2017 year-end performance ratings. Every car has been re-rated and updated. If you downloaded them previously, you'll want to replace them with these files to enjoy the most accurate racing experience. Many kudos to GPD painter, Mike Ehresman to labored over every sponsor decal and detail of these cars... many of which had to be made by hand. So, the 2017 "Southern Boys" are now in the house. Now it's time to start focusing on 2018 from your friends at your "One Stop Shop" for Modifieds for NR2003!